It was the spring of 1871. Pioneer entrepreneur Abigail Scott Duniway, on a business trip to purchase stock for her millinery store back in Oregon, waited breathlessly outside the suffrage convention in San Francisco. She hoped to meet Susan B. Anthony, whose career she so admired. And so they met, sparking a relationship that dramatically altered Duniway's life. The duo traveled for months on horseback, carriage, train and boat in their crucial, successful effort to ensure the right to vote for women nationwide. 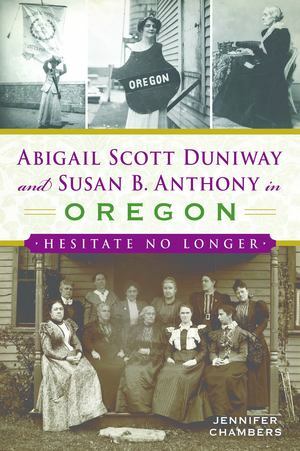 Author Jennifer Chambers revives the inspirational fight for women's rights by examining the dynamic between these two powerful women and how they changed not just the Beaver State but the country as a whole.